Alastair is a public policy scholar, a crisis management expert and has an ongoing interest in the institutionalization of participatory modes of governance. 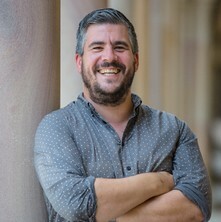 His current policy research examines the role that institutional amnesia plays in the policy process, his crisis management research has been focused upon the relationship between public inquiries and lesson-learning, and in relation to participatory governance, he is currently examining the validity of different forms of deliberative democracy in the context of Australian environmental policy. Alastair has published widely in high-ranking international journals, authored two books, won two Australian Research Council Discovery grants and is always looking for outstanding students who may be interested in studying PhDs in relation to the topics outlined above. Can public inquires promote effective policy learning after crises? Stark, Alastair Public Inquiries, Policy Learning, and the Threat of Future Crises. Oxford, United Kingdom: Oxford University Press, 2018. Drennan, Lynn, McConnell, Allan and Stark, Alastair Risk and crisis management in the public sector 2nd ed. London, United Kingdom: Routledge, 2015. More micro than meta? Competing concepts of metagovernance in the European Union. Legislatures: Help or hindrance in achieving successful crisis management? The dynamic of contractual relationships between not-for-profit organisations and government funding bodies, particularly in the human services field. Post-Crisis Recovery and Policy Implementation: Public Asset Restoration in Queensland Local Government.